The MedWiz software suite is a revolutionary system that uses an easy-to-use touch screen interface to manage medication in the Long-Term Care (LTC) setting from prescribing to administering. This intuitive and powerful solution has been customized to match the common workflows and habits already found in LTC facilities. In other words, we've designed it from the ground up with the philosophy that software should adapt to the user and not the other way around. The MedWiz system has been built to streamline the medication process from the initial order by the physician to medication administration by facility staff. 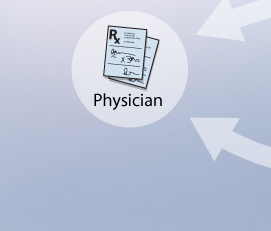 There are three basic components to the system: ePrescription, eMAR, and the MedWiz ePharm. Each of these components operates independently, but together they make up a complete, cohesive medication management solution for your facility or pharmacy. 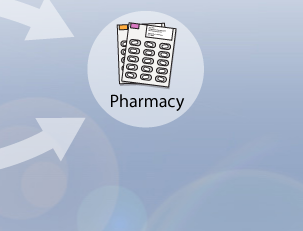 We've built the most intelligent electronic prescription software available today. Unlike other systems, we've designed the MedWiz Rx Wizard for the LTC physician because we understand that long-term care has unique challenges and needs. Physicians log in securely to our touch sensitive terminals and can start writing new orders, discontinue existing orders and create DME and Lab Orders with just a few touches of the screen. Learn more about how MedWiz is the best solution today for LTC physicians. The MedWiz eMAR solution is unmatched in terms of functionality, power and simplicity. A comprehensive resident profile is maintained electronically and is always available with real-time data that reflects the most current and accurate information. While access to a wealth of information is only a few taps away, our system simplifies and automates common tasks - giving the user just the right information to complete the job at hand without confusion. Learn how MedWiz software can dramatically change your facility for the better. Our ePharm solution brings it all together! ePharm is our fully electronic pharmacy module that is connected in real-time with the other components of the MedWiz system. 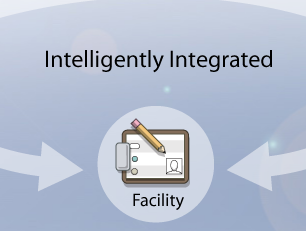 This powerful integration ensures that your pharmacy can provide exceptional care and practically eliminate errors. You can do all this and actually save money as well! With the MedWiz system, maintaining medical records, filing paper prescriptions and updating and printing MAR's are a thing of the past. Learn more about how the MedWiz ePharm solution will grow your business. Copyright © 2017 MedWiz Technologies. All rights reserved.